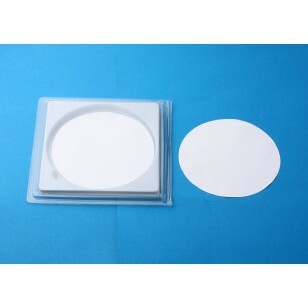 The Cellulose Acetate or CA membrane filters from Simsii are designed to offer the lowest binding possible. With this low binding capacity, they offer superior throughput and reduce the filter changes during the filtration of protein samples. Our cellulose acetate filters are composed of pure cellulose acetate that can be effectively used for biological applications and filtration of aqueous solutions. Our CA membrane filters are hydrophilic and highly moisture-resistant. They remain stable against most of the minerals, fatty oils, acidic and weak caustic solvents. At Simsii, they are available in different diameter and pore sizes to suit your specific applications. Their uniform pore structure and low extractable levels ensure superior performances. If you want to know more about these filters, please feel free to call us.